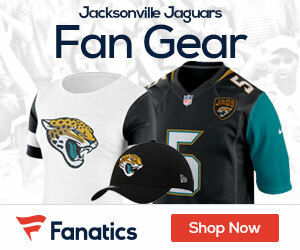 The Florida Times-Union reports that RB Maurice Jones-Drew says that the Jaguars are anxious to see his knee hold up, and that he thinks the team is ready to give more carries to Rashard Jennings. Maurice Jones-Drew is keenly aware of speculation and doubt about how his surgically repaired knee will function during the 2011 season, whenever it begins.That’s part of what’s driving him this summer — he doesn’t want any questions to linger in his coaches’ minds about his health. “I can still carry the load regardless of what surgery I had or whatnot,” Jones-Drew said. “They’re going to be kind of anxious to throw Rashad [Jennings] in, and they’re already kind of scared of my knee. … I want to be able to be out the gates playing because it’s a production-based business. They’re already skeptical maybe it’s his knee, maybe we’re working him too hard, we should give him a break.” Jones-Drew tore his meniscus before the 2010 season and played the season’s first 14 games with the injury, carrying the ball 299 times and rushing for 1,324 yards. Noted orthopedist James Andrews repaired the knee through an arthroscopic procedure in January, the week after the season ended. Jones-Drew began running lightly in April and last month was able to cut and make football moves. Jaguars offensive coordinator Dirk Koetter has said repeatedly he has complete confidence in Jennings, Jones-Drew’s backup, but Koetter’s problem with giving Jennings more carries is he doesn’t like taking them away from Jones-Drew.